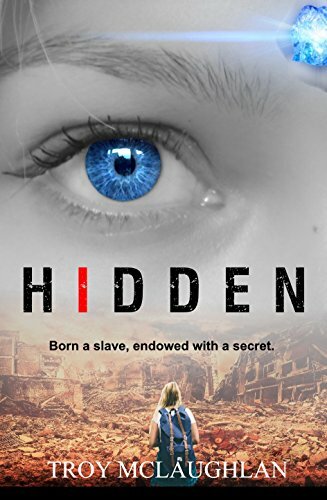 Hidden: One Title. Endless Possibilities. I’d like to officially introduce everyone to a project I’ve been working on since spring. 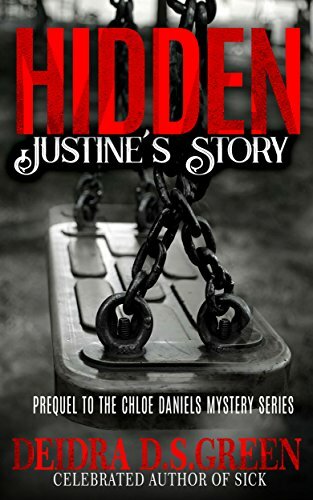 You’ve all read about my novella, Hidden: A Pregnant Fairy Godmother’s Journey… Well, this was written as a part of a 70+ author collaborative where we each wrote a story with the same title: Hidden. When you see the variety in the covers, it’s not confusing at all, just take a look at these October/November releases. Each author could write any story they like, in any genre they enjoy, as long as it has the title, Hidden. Then, once weekly, a book is released…and we’re booked out into 2019! You can follow along on our website or with any of our social media (Facebook, Twitter, Pinterest, or Instagram) to see what this fantastic group of authors came up with, or simply sign up for our newsletter to receive updates of the current new releases. October 26th Check this out HERE. November 2nd Check this out HERE. November 9th Check this out HERE. November 16th Check this out HERE. November 23rd Check this out HERE. November 30th Check this out HERE. I can’t wait to see all 70+ covers, side-by-side, in 2019 when this project concludes…and, of course, read every one of these titles! 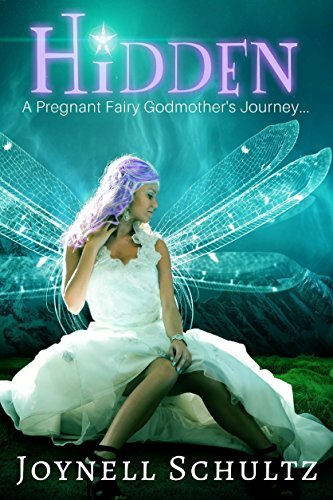 I’ve been polishing up my first novella, Hidden: A Pregnant Fairy Godmother’s Journey… and I wanted to share it with you. 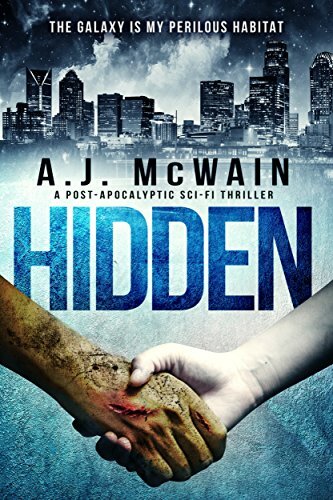 This is part of a multi-author project where everyone writes a story titled, “Hidden.” The stories can be any length the author wants and in any genre. We all will have them showcased on a group “Hidden” webpage and link to this page in the back matter of the book. Humans are not allowed in the fairy realm. Period. That includes half-fairy half-human babies. The only solution is to give the baby to its father before the Fairy Council finds out her secret. Finding the father should be easy, how many men named John could possibly live in this place called Chicago? YOU CAN FIND THIS ON AMAZON PRE-ORDER HERE FOR 99 CENTS. Under the violet-tinted sun, Ciera tapped her wand against her hand and forced a calming breath. She focused on the light breeze tickling her face and the sweet, almost undetectable scent of the rainbow high in the sky. My glamor will stay—it must. To a fairy godmother like Ciera, a simple glamor spell to change your physical appearance should be easy. Heck, it had always been easy for Ciera, but now, in her current predicament, her magic was weak and drained too quickly. In eight more months, her abilities would return. Could she keep pretending that long? “Are you sure this will feed us forever? It’s such a small garden plot.” A farmer stood in front of Ciera. His hair was a vibrant copper color that complemented his worn, brown leather trousers. A little girl in his arms tightened her hold around her father neck. Her red hair blending in with her father’s as she buried her face in his neck. A shiver of magic flowed up her spine and wrapped itself around her stomach. She looked down at her belly in time to see her glamor enchantment flicker. Did he notice? She jerked her head towards the farmer to see him focused on his daughter. Ciera scooted across the yard to dig her toes into the small patch of tilled-up sand. No matter how much love Erdians gave the nutrient-poor soil, stuff still wouldn’t grow without fairy intervention. The cool and dry dirt softly tickled her feet as she walked across it. Even with her dying magic, she could easily turn such a small area into fertile soil. She had fertilized fields as far as the eye could see for many royal families. She tapped her wand against her hand. “No problem. Your wish is my command. Dibbity, dobbity, doo!” Ciera gave a little wink toward the man; her signature move. She channeled her magic into the wand. The current flowed as slow as honey today, growing slower day-by-day. How long will I be able to put up this charade? The magic seized-up, not wanting to budge. She shook her head and tried again. Reaching deep inside her core, she warmed the honey to make it flow faster. Staring at the tip of the wand, she waited for the golden glow. One flicker, then another, but then her magic dissolved into nothingness. The glamor she created to hide her growing belly dissolved and her flat stomach disappeared, revealing her true abdomen size, giant, like the size of one of those leather balls royalty throws through hoops. 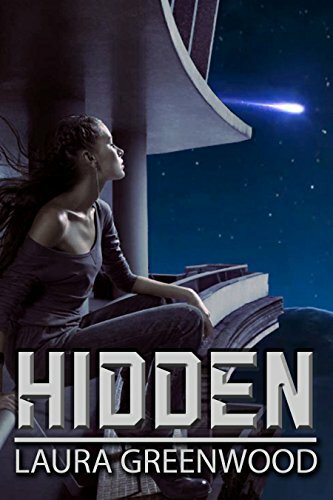 Ciera pulled all the magic she could find, from everywhere; inside her heart, from back home, and even the little bit that resided in Erde and rewove the glamor around her, disguising her pregnancy. This time, when she jerked her head up toward the father, his eyes were wide. She needed a distraction. “Um, do you have a glass of water?” Queasiness overtook Ciera as she plopped down on a petrified dragon egg lining the garden. When the man disappeared into his house, Ciera released all her magic to give it time to recharge. She placed her hand on her stomach as she tried to regain control. “What are you doing to me?” she whispered while rubbing her belly. “This is way too early, I still have eight months left. How am I going to hide you without magic?” Inside her stomach, the child swirled. It had been doing this more and more lately. It took seventeen months to grow a baby fairy, and Ciera had been pregnant for nine. A stomach this size was impossible at this point. An image of the baby’s father flashed through her mind. Gray well-groomed hair and kind, brown eyes that seemed almost desperate. When she first realized he wasn’t a fairy, she had been disappointed. She had passed him off as an Erdian, but now she wasn’t so sure. What if he had been human? How long did it take to grow one of their babies? And if this was a human child, did that explain the odd behavior of her magic? The human realm was off limits, and the other fairies would certainly shun her—she had worked so hard to earn her status with her peers. Footsteps approached, and she wrapped herself in the glamor once again. “How are you feeling?” The man handed over a copper-hammered cup filled with water while holding his child in the other arm. “Like a dragon flying upside down.” The cool drink did nothing to alleviate her nausea. Her anxiety was making her sick to her stomach, and she needed to get in control of it. “Now, let’s give this another shot.” She stood up and raked her eyes over the sandy soil. She focused on her magic, but all she found was a hollow void where the baby grew. She pulled harder, fighting with the child in a game of tug-of-war. She pulled one way, and the baby pulled another. When Ciera felt she had a good grip on a strand of magic, she quickly shoved it down her arm and into her wand. Quick, Ciera. Hurry. You can’t fail. “Dibbity, dobbity, doo!” She zapped at the soil, filling her mind with images of rich green vegetation and plum red fruits. The ground quivered with a ripple of light, and parts of the soil turned from pink and yellow sand to black dirt…but not all of it. “But you’re the best. Your Fairy Council assured me.” The man squeezed his child’s hand. The toddler’s eyes held dark circles beneath them—she was hungry. The father was already too thin. Ciera couldn’t let them starve. Sweat tickled Ciera’s brow as she focused on any magic she still had. She clenched all her muscles and forced the magic back into her wand. As soon as it appeared, she zapped the egg she had been sitting on. A simple spell on a smaller object, turning the fossil into a roasted platypus surrounded by magic beans on a silver platter. Before the man said anything, the gate swung shut behind Ciera as she jogged down the dusty, yellow road with her wings flapping for speed and an arm wrapped around her unglamored belly for support. I need to get home to my father. He’ll know what I should do. How could she not complete an assignment? She hadn’t found a long-term solution for that hungry man and child. Could she go home a failure? It’d wreck her reputation, and the other fairies would wonder how this was possible. They’d figure out her secret. Deep breath, Ciera. Rest. Let the magic recharge. But what if this was a human baby? That gray-haired man Ciera had met in a dream had a machine for one of his arms.. Erde didn’t have contraptions like that…did the humans? It didn’t make sense because fairies hadn’t crossed over to the human realm in a hundred years. Her grandfather’s words haunted her: But you’re not a normal fairy. You’re a purple fairy. She had always dismissed him as just flattering her…but maybe some of what he said was right? No, Ciera. You’re like everyone else…only you have to work twice as hard because you want to be the best. Maybe she could hide here in Erde. She loved this world with its warm violet sun, green grass, and the smell of the sea. She used to spend all her free time here, but over the past few months, her fading magic would no longer allow it. If she stayed too long, she’d lose her ability to fly, to grant wishes, and, perhaps her ability to return home. Now, with the thought that the child could be human, there was no way she could stay. The Fairy Council would surely find her and discover her secret and…she lost her breath thinking the next thought…shun her family from the fairy realm. Ciera detoured off the yellow dirt road and ventured into the forest, finding a patch of minty smelling moss. She lay down and began to drift asleep, nearly certain that the baby was human. There was no other explanation. She had just granted King Wren’s wish for an appropriate suitor for the princess. This had taken way too long, yet she was the fourth fairy godmother on the project and the first to succeed. She returned home that day, completely exhausted from hours of sending her magic out searching all the neighboring kingdoms and fell asleep wondering what was next. She felt like she could take on the world. A brief thought passed through her mind if there would be even bigger challenges on Earth, but she dismissed that idea. The human realm was off limits. But she wanted a challenge, and that world tugged strongly at her as she fell asleep. She dreamt of a man with whitish gray hair and these dark, intense eyes. The most prominent thing was his arm made of silver. Her desire to grant a wish pulled strongly on her, taking over her logic. She didn’t even know what wish she was granting, but knew what she had to do. “Lift your hands,” she had said. He lifted one hand and pointed his index finger, then lifted his other. A claw or hook of some type. 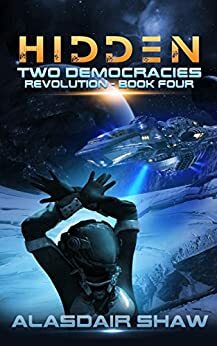 She touched a finger to both of his hands, smiling with pleasure as a bright violet light traveled down the man’s non-silver arm, through his finger, and transferred to Ciera. It traveled up her arm and her belly tingled when it settled there. She left feeling complete. It wasn’t until a three months ago she discovered her pregnancy, and it wasn’t until well after that she began to wonder if that man was human. She kept pushing that thought away, not understanding how that was possible. Who heard of humans with robotic arms? She had dismissed it as some type of glamor magic. Besides, for a fairy pregnancy, all ten of their fingers must touch in their dreams and a yellow light transfers. Quite different from what had happened. The Fairy Council wouldn’t understand. Fairy godmothers always had control of their dreams…but this one was different.